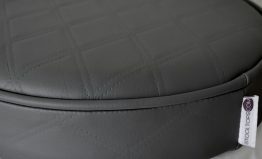 Our Fusion range is an embossed stitched diamond design. 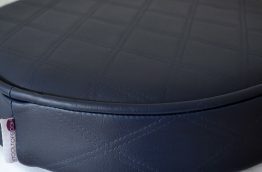 Suitable for indoor upholstery, it meets stringent fire regulations BS5852 and Crib 5 and therefore is suitable for both domestic and contract use. 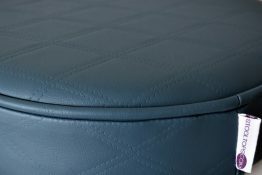 This fabric is waterproof, anti-bacterial / anti-fungal and recommended for use in hospitals and nursing homes as well as bars, hotels, restaurants and cruise liners. 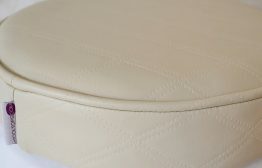 This is easily kept clean with a damp soapy cloth. More obstinate dirt should be washed with soapy water and soft brush. 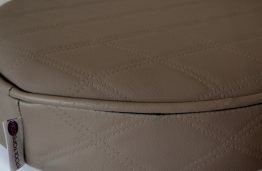 It is not recommended that chemical cleaners are used as they may harm the surface of this material. 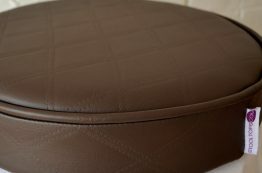 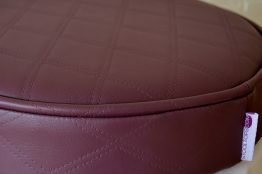 At Stooltops.com we supply replacement stool tops for your tired and damaged ones at a cost effective price of £21.95. 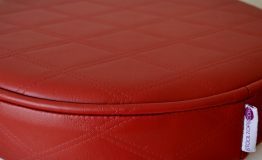 With a large range of fabrics and designs to choose from, we provide a great economical facelift to any home, bar, pub, club or restaurant.